BioGenesis ProAnox. This aptly named product is the foundation of every ProAnox activity-based formula. Simply put, it's the most potent all-in-one performance and lifestyle enhancer on the market. and health enhancing formula for superior athletic performance. While most nutritional supplements offer just two or three of the top performance- and health-enhancing plant compounds, BioGenesis has all eleven. And instead of following the all-too-common mantra of more is better, we used the scientific method to determine the most effective combination of ingredients. The results are nothing short of amazing - and you can feel them for yourself in just 3-5 days. These guys have the fastest shipping and some of the best customer service I've ever experienced from an online store. Many endurance and recovery supplements - this one is the best I've used. You may be able to find it elsewhere for less at a sale price, but if you're like me I want my supplements when I need them, not 2 or 3 weeks later. Amazon.com has better prices, but don't buy there is you care to see your purchase within a reasonable amount of time. 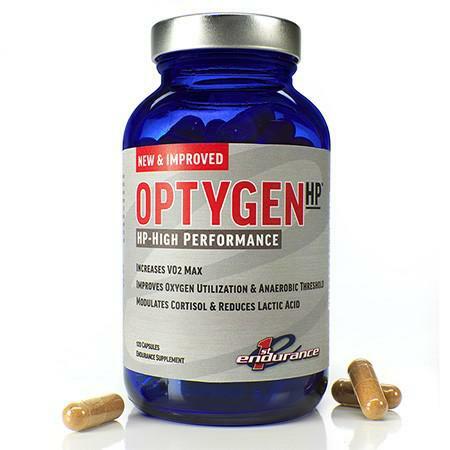 Optygen HP on Sale at ProLine Sports Nutrition - plus get awesome 1-2 day shipping Free of charges. No better online supplement store than right here! Began taking Intelligent Endurance 1 month prior to Chicago Marathon. Ran the marathon in 3:15:34 which was beat my previous PR by 8 minutes. I really believe the supplement helped. The most noticeable impact of the supplement appeared to be oxygen utilization. It seemed that my breathing was easier on harder efforts. Only negative I experienced was a little bit of sour stomach. I usually took the supplement first thing in the morning and followed it up with the FRS low-cal Mango-Orange drink. On several occasions, I would experience some nausea that I had not experienced when only taking the FRS drink alone. Optygen HP helps with the leg cramps I get often after my workouts and took away the lethargic effects of skiing at high altitude this year. It did not decrease my max or resting heart rate, however, it enabled me to exercise at my max heart rate during training and races. Well worth a try if you haven't yet.